After a chilly start we had an absolutely wonderful day yesterday. Our friends Ed and Diane have a cabin near Angel Fire which is about 10 miles from our park. They served us an excellent brunch of biscuits and gravy and a green chile egg casserole (we are in New Mexico after all). After an excellent meal and great conversation we headed to Taos. A winding scenic drive on the Enchanted Circle through the Santa Fe National Forest and Taos Canyon with yellow aspens throughout. By now it was warming up and we are walking around the Square in the low 70s and sunny. We just walked and talked going into the occasional store. We only bought pumpkin spice truffles from Rocky Mountain Chocolate Company, continuing our 2014 pumpkin adventure and they were really good. 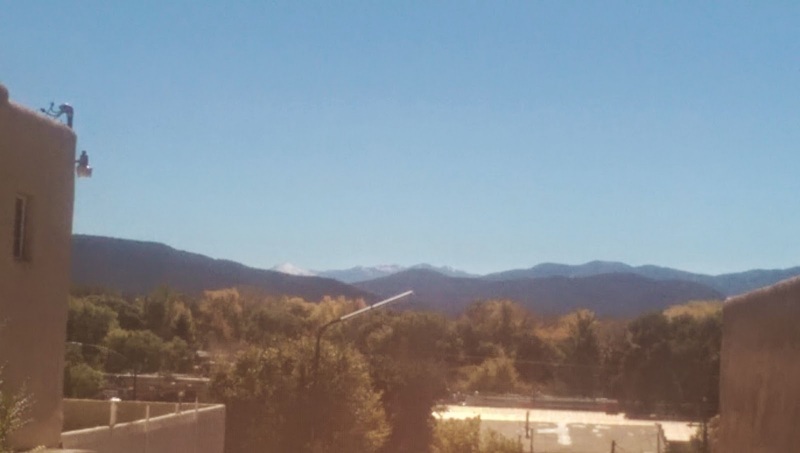 Here is a view of the mountains from the square. 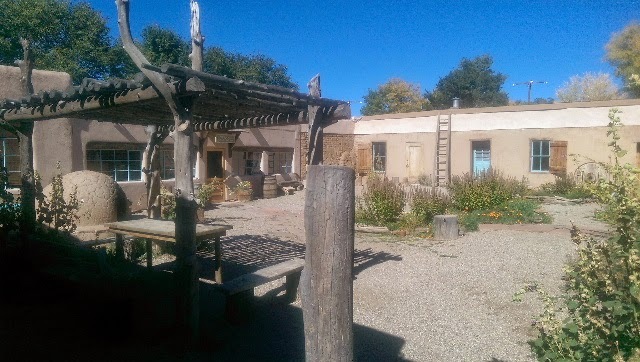 Kit Carson, the famous western scout, lived in Taos. Here is his home that has been restored. 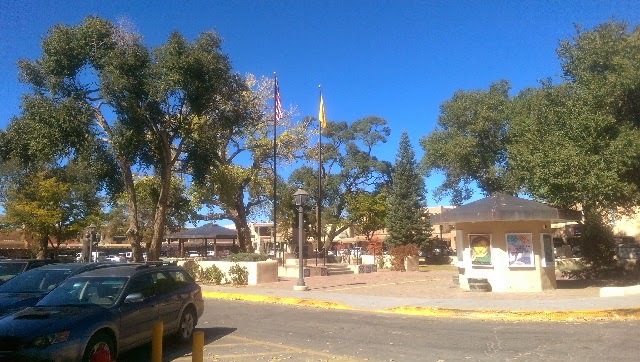 It is located near the Square in old downtown Taos. 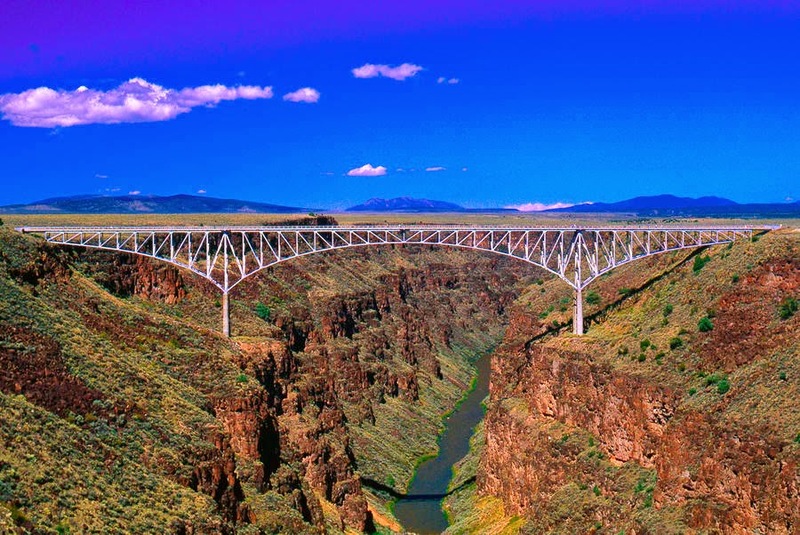 We then headed to the Rio Grande Gorge Bridge near Taos, known locally as the Gorge Bridge or the High Bridge. Here is a picture we found on the internet.